Addiction cases have been on the rise ever since the drug was introduced to the marketplace. The drug is actually Oxycodone, and sold under the brand names OxyContin, Roxicodone and OxylR. It’s known on the street as “oxycotton,” and when it’s used for recreation, it can be highly addictive especially if it's taken inappropriately. Oxycodone is a Schedule II, synthetic opiate analgesic prescribed for moderate to severe pain. Patients are often also directed to take aspirin or acetaminophen (Tylenol) in combination with the oxycodone. Dosages are from 10 to 160 mg, and under a doctor’s care, the drug, when used properly, is considered relatively safe. The active agent is a morphine derivative, which is also used in Percodan or Percocet. 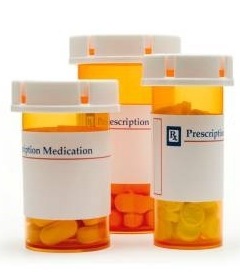 It is given in pill form and the slow-acting drug, when used according to physician direction, helps manage pain. When the pills are ground up by the recreational user and snorted, it is reported the “rush” is more intense than that of heroin. It’s a long-lasting high. That’s why this drug is so widely abused. Because the drug has become so popular on the street with recreational abusers, patients who are prescribed the drug for legitimate medical purposes may run into difficulty with pharmacies in filling their prescriptions. Oxycontin is rampantly on the rise; abuse of this drug began almost from the time it was introduced on the market. Because it is an opiate, “oxycotton” is highly addictive. The health risks for it are enormous. Theft is a big problem because of OxyContin. Some pharmacies won’t even stock the drug for fear of being robbed. Still, for patients suffering from chronic pain, the drug has been of great benefit. Patients may take small doses of the drug to manage pain, and like taking insulin to manage blood sugar, the drug has become necessary to maintain a good quality of life. The drug slows down breathing (respiratory depression) and breathing might slow down to 12-20 times per minute, and that slow-down is a warning sign. If breathing gets below 10 times per minute, the person is in jeopardy of having low oxygen levels, which lead to permanent brain damage, or worse. The effects of OxyContin can cause a heart attack. Because the drug depresses the central nervous system, the user might get confused, or begin to act strangely. They get sleepy, or they have mood swings. The lose interest and have an “I don’t care” attitude about things. Unlike someone who has had “a few too many” drinks and you give them a ride home and put them to bed, too much “oxycotton” is serious business. If a person goes to sleep, with low respiration and the other effects of the drug, they may not wake up. If you are around somebody that shows the signs of “oxycotton” overdose, don’t let them sleep. Keep them awake and talking no matter how much they complain about it. Get help. Medical attention is needed. If the person is in trouble, call 911. OxyContin overdose often requires a hospital stay. Like patients who overdose on other central nervous system depressants, they may need a respirator to control breathing. Once the drug is out of their system, they can return to normal breathing. “Oxycotton” is a dangerous substance and using it for recreation is like playing Russian Roulette. The chances for a fatal encounter with this drug are enormous. Professional intervention is needed, as addiction to this or any other opiate requires a plan and expert help. When prescribed by a physician and used properly, OxyContin can be a blessing to those suffering from chronic pain. In the hands of an unthinking, unsuspecting and careless individual, “oxycotton” is a curse. If you think someone has an OxyContin please see our intervention page. "Judy" was participating in a long-term residential drug treatment program, and was three months into a six-month scheduled stay. She had sustained an injury to her right knee, which required a surgical intervention. The surgery, which was supposed to fix the problem, only made her life worse, as her mobility and the accompanying pain made routine movement a painful experience. She needed more and more of the prescription pain medication in order to manage her pain, and soon her life began to spiral out of control. Soon, Judy was visiting several doctors to get Oxycontin prescriptions. While insurance would normally pay for a reasonable amount of the needed medicine, Judy had to come up with cleaver schemes to pay for hers. She began to steal things from her own house, and even slid to the point where she robbed her own children. She had been to some treatment for her knee, but the drug addiction had crept up behind her. She didn't see it coming. Although she knew what she was doing was wrong, it didn't matter, because she would rationalize everything. Soon there was no reason to any of her actions, other than she needed the drugs to feel normal. Her marriage was beginning to suffer, but even that didn't stop her. These are common occurrences in most drug addiction stories. Judy said there was some attempt to curb her need for the prescription meds, but the treatment was ineffective no long-term management skills were learned. By the time she left town to check into long-term rehab, the husband was filing for divorce and telling their two children that "mommy didn't love us anymore." What might have made matters worse is the fact that the husband was a law enforcement officer, and certainly having a drug addict for a wife would not do his career any good. Still he tried to be supportive, but by this time the fabric of their marriage had been ripped apart. While working the 12-Step program, Judy rediscovered her spiritual side and began an intense study of her faith. She had been raised a Lutheran, but other than attending church at Christmas and Easter, there was no commitment by either Judy or her husband. She attended a Tuesday night Bible study at the treatment facility. The sessions were open forum and presided over by a local non-denominational pastor. The pastor had no set agenda, but tried to get to know each person and find out what was going on in their life. It was in those studies that Judy began to see herself in the real light of day, and saw the destruction of her marriage and family relationships. She began to understand the power of other drug addiction stories she heard about. The 12-Step process calls for the addict to turn their will over to God, as they understand Him. During the next month an amazing transformation took place in Judy's drug addiction stories, as Judy was no longer a victim of drug addiction, but took responsibility for her actions and started to really work the program with a new seriousness and energy. She began to bring others to the Bible studies and organized a weekly communion service for the residents. Her knee pain persisted and one day the treatment staff decided to take her over to a local physician for examination. After his exam he quickly said he could help her and wrote a prescription. "Oh no," she said. "I'm an addict and I can't have prescription pain medication. Is there something else you can offer me?" The honestly must have thrown him off course. He paused for a few moments then what came out of his mouth astonished her. "I have a 16 year-old son who has been smoking marijuana. I fear that he will try something else. Do you think you could talk to him for me?" At that moment, a role reversal took place, as a helpless addict who wanted relief from pain, was suddenly an expert on drug addiction and someone who could help this doctor with his son. You can't script this. Judy agreed to talk to the boy. The next few weeks saw more positive change. Judy was more herself, more confident and managing her daily affairs well. The encounter with the doctor had put everything into perspective for her, as she realized that her experiences, no matter how destructive and painful, could be used to help somebody else. That doctor put his son's life in her hands. About a month after the doctor visit, Judy was released and went into another treatment facility closer to her home. When she left she had no idea what would happen to her marriage, if she would be allowed to see her kids, or if there was any shred of a normal life waiting for her, but through her experiences, she discovered herself. Drug addiction stories are never over but Judy's experience should be a lesson learned for others.